A triumph on every level, this magnificent achievement set a standard for modern movie musicals that remains unsurpassed to this day. Featuring an unforgettable score and groundbreaking choreography, the film sets the tragedy of Romeo and Juliet against the backdrop of gang warfare in 1950s New York. 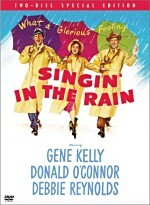 Won for Best Picture; Best Director; Best Supporting Actor-George Chakiris; Best Supporting Actress-Rita Moreno; Best Cinematographer; Best Art Direction-Set Decoration; Best Costume Design; Best Film Editing; Best Sound; Best Music. Since I occasionally mention my general dislike for musicals, I get some e-mails that ask why I bother to review them. It comes with the territory; I can’t just ignore all of the successful musicals from over the years. Given that quite a few won Oscars as Best Picture, it became inevitable that I’d need to watch quite a few of them. As such, I didn't look forward to West Side Story, and its first few minutes – which feature lots of flouncing and posing from some pretty-boys who are supposed to be members of rival New York gangs - didn't seem too promising. Not surprisingly, I must admit that I didn't much like the movie. The style was not my cup of tea, and I didn't enjoy the songs. However, I did respect it as a well-crafted piece of work that seems to offer a strong example of the musical genre. Objectively, I found Story to provide a fairly compelling variation on Romeo and Juliet. It updates the action to New York City of the early Sixties and creates a situation in which it's not the Montagues and the Capulets who block the romantic affair of our two leads. It's differing races and backgrounds as acted out through two gangs, the white bread Jets and the Puerto Rican Sharks. Honestly, it never seemed especially clear why these two groups hated each other so much, but do racial motivations ever make much sense? In any case, against that backdrop we find Tony (Richard Beymer), one of the leaders of the Jets, and Maria (Natalie Wood), the sister of head Shark Bernardo (George Chakiris). They’re two young cuties who meet and quickly – and I mean really quickly - fall in love. Not surprisingly, this interaction doesn't sit well with the others, and the dissension intensifies as the film progresses. Since Romeo has been ripped off innumerable times over the centuries, we can't look to the story as anything unique; it's a different take on the old saw, but it sticks pretty closely to Shakespeare's basic tale. As such, the film develops its individual qualities from the musical aspects of the project, and it's clear those are quite special. Although I do dislike musicals, I respect the work in Story because the songs by Leonard Bernstein and Stephen Sondheim seem clever and memorable. Sondheim's wordplay appears bright and vivid, and Bernstein imbues the whole thing with some strong melodies. Adding to the thrill is the choreography by co-director Jerome Robbins. The dancing occurs frequently and it displays a creativity and an exuberance that make it stand out as something special. Robbins also features a very distinct visual pattern that makes the movie distinctive; there's a starkness and abstract quality to the look of the picture that come across as something different. All of the preceding statements came from Objective Colin, the one who can see why so many people like Story. Subjective Colin, on the other hand, found too much about the project that was dopey for him to enjoy it. First of all there's the sheer goofiness of all these singing and dancing pretty boys. It's awfully hard to take these tough guys seriously when they're flouncing about and crooning cute little tunes. Granted, gangs from 40 years ago might not seem all that scary in today's environment anyway, but the added hindrance of the musical environment lessens their threat even further. The danger that's supposed to exist in these characters is too important a facet of the plot to have it turn silly, but unfortunately that's what happens; a guy can only look so scary when he's chirping about how great it is to be a Jet. I also wasn't wild about many of the performances. Actually, I thought most of the performances were too broad and lacked substance. That's part of the problem with musicals, especially those that have been adapted from the stage; in front of a live audience, performers have to be loud and emotive to make sure the crowd can get the material. Unfortunately, many times these tendencies aren't modulated for the big screen and the actors come across as overly broad. However, some of the worst performances in Story come from folks who I don't believe ever did the show on the stage. Both Beymer and Wood simply seem very bland and unconvincing. They're an attractive couple - Wood really was a gorgeous woman - but their acting appears flawed. Wood especially runs into trouble since she plays outside her race; she makes one of the least convincing Latina women ever. It doesn't help that others doubled the singing for both Wood and Beymer, as this lends a somewhat artificial tone to their work. Still, fans of the genre will find much to like about West Side Story. I'm not part of that group, but the piece offered enough pleasures for me to find it tolerable at least. I don't think I'd pick it for Best Picture but it's a well-constructed film that holds up well after more than four decades. West Side Story appears in an aspect ratio of approximately 2.20:1 on this single-sided, double-layered DVD; the image has been enhanced for 16X9 televisions. Although not completely flawless, the film looked quite positive, especially when one considered its age. Sharpness appeared very good. The movie consistently came across as nicely accurate and distinct. A smidgen of softness showed up in a few wide shots, but the majority of the movie came across as well defined and crisp. Jagged edges created no concerns, but some mild shimmering occurred at times, and I also witnessed a little light edge enhancement. As for print flaws, the image demonstrated occasional examples of speckles and grits with a few small marks as well. However, these seemed pretty modest for a flick that came out more than 40 years ago. Colors presented a strength. The film offered a nicely broad palette, and the tones looked very good. The hues usually came across as rich and vibrant, and they really leapt off the screen at times. Black levels also appeared dark and distinct, while shadow detail was appropriately heavy but not overly thick. 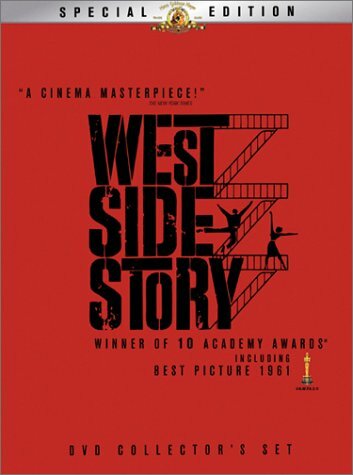 Ultimately, West Side Story displayed a fairly impressive visual experience that just fell short of “A” level. How did this new version compare to the original DVD? The two seemed pretty similar, though they demonstrated a few minor differences. The old disc appeared a little less tight and concise at times in regard to sharpness and colors, but it also came across as a bit cleaner. Overall, the mix of strengths and weaknesses balanced out in the end; though slightly different, neither seemed distinctly superior to the other. The Dolby Digital 5.1 soundtrack of West Side Story also worked well for its age. Though the DVD’s case touted this as a “new” 5.1 mix, it sounded virtually the same as the 5.1 track found on the original DVD. That seemed fine to me, as the old disc offered a nice sonic experience. The soundfield seemed good, especially in the forward channels. The front three speakers displayed a broad and fairly well defined sonic image that nicely located various sounds. Mainly music swelled in the side channels, but quite a lot of effects and even some dialogue blended in as well. The speech seemed a little too speaker-specific, but the other elements melded fairly nicely, and I noticed some decent panning on occasion. The surrounds mostly featured gentle reinforcement of the music, but some effects came from back there at times. These also stuck to the soft side of things, but they added to the ambience, especially at times such as during the "rumble", where the surrounds contributed to the atmosphere. Quality seemed a little more questionable but was usually good. Dialogue sounded iffiest, with a fair amount of variation. Although speech always appeared intelligible, it displayed inconsistent quality. Some lines were natural and relatively warm, while others came across as somewhat harsh and edgy. All lines remained within the realm of acceptability for such an old movie, however. Effects also sounded a bit flat and thin but they appeared reasonably clear, and the music was quite rich and dynamic. Some of the singing suffered slightly from the same lack of crispness that could affect speech, but the music itself displayed good clarity and fidelity. I noticed a little flatness inherent in an old recording, and tape hiss seemed a little more prominent than I'd like, but overall, the score appeared very clean and strong. That factor alone made the soundtrack of West Side Story a winner. While the new “DVD Collector’s Set” of West Side Story presents visuals and audio that seem quite similar of those from the original disc, the re-issue clearly tops the old one in the department of extras. 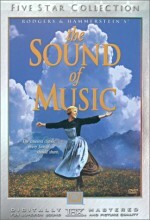 The first version came with nothing more than a trailer for a re-release of the film. The Collector’s Set doesn’t overwhelm with supplements, but it provides a few good pieces. “Memories” packs a lot of good material. The participants cover the project from its original stage origins through different elements of the production. 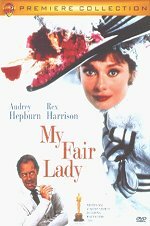 We learn about different subjects like locations, specific character choreography, the division of labor between the two directors, the relationship between some of the actors, Robbins’ firing, and many other issues. We get to hear some of the original vocals that were later dubbed by others; most interestingly, this includes snippets of Natalie Wood’s take on Maria’s songs. (While she didn’t sound bad, she clearly wasn’t nearly good enough for her real voice to appear in the movie.) “Memories” jumps through some subjects a little too quickly, but it covers a lot of ground and provides a solid encapsulation of the West Side Story experience. Next we get a storyboard-to-film comparison montage. This runs four minutes and 47 seconds and eschews the standard split-screen format. Instead, it shows the storyboard and then runs the film clip. That seems like an odd choice, and it appears only moderately successful. Given that the boards and the film both are mostly displayed at 2.20:1, it wouldn’t have been tough to make them fit the 1.33:1 screen without much compromise. In any case, fans should enjoy this brief glimpse at some West Side material. Inside the “Film Archives” we find three different pieces. The trailers area includes four ads: an unusual animated trailer as well as a reissue promo and two more from the original release. Most interesting of the bunch, the “original issue trailer” presents shots from the flick’s premiere. The original film intermission lasts 90 seconds and shows an “Intermission” screen card with the accompaniment of an instrument take on “I Feel Pretty”. This also can appear during the main movie on DVD One if you select it as an option when you start the movie; in its natural place, it shows up around the 80-minute mark. Except for some ads in the “Other Great MGM Releases” area, DVD Two ends with a collection of three Photo Galleries. The “Production Design Gallery” shows 10 conceptual designs and sketches by production designer Boris Leven. In the “Storyboard” area we get 83 examples of this art by storyboard artist Maurice Zuberano. Lastly, the “Behind the Scenes” section splits into an additional 10 subdomains. These include between three and 40 images each for a total of 127 frames in all. Most of these show photos, but some costume designs and a couple of Hirschfeld caricatures appear as well. While that ends the disc-bound extras, the elaborate package also includes a thick collectible scrapbook. This text presents an informative three-page note from screenwriter Ernest Lehman, a timeline for West Side Story, various production notes, and Lehman’s entire screenplay. Though the script fills most of the scrapbook, it also provides the film’s original lobby brochure and a collection of memos and reviews plus a mix of photos. It’s a nice piece that should interest any West Side fan. After two screenings, I can’t put myself in that group. I find West Side Story to offer a well-executed piece of work, but it just doesn’t do much for me. Nonetheless, I can see that it represents pretty much the apex of the movie musical. The DVD offers very good picture and sound with a fairly nice set of extras. While this “Collector’s Set” definitely presents the best version of West Side Story on the market, I find it hard to recommend it firmly to fans because of its price. This release lists for almost $40, which makes it much more expensive than the old bare-bones edition. Unfortunately, the latter seems to be out of print; a look at a number of Internet retailers revealed nary a copy to be found. Given that MGM touts the “Collector’s Set” as a limited edition, does that mean a less elaborate version of the package will appear at some point? Perhaps, but as I write this, it looks like this is the only game in town. Clearly it’s a nice package, but the price remains somewhat steep. For those who already own the old DVD, I’d recommend they stick with it unless they just can’t get enough of West Side Story. The new package presents picture and sound that seem similar to the old version, and the extras don’t seem strong enough to warrant the purchase of such an expensive release. As for those who don’t possess the prior DVD, the “Collector’s Set” offers more appeal, but it still seems too pricey for what you get. Drop the cost by ten bucks and I give it a stronger recommendation.